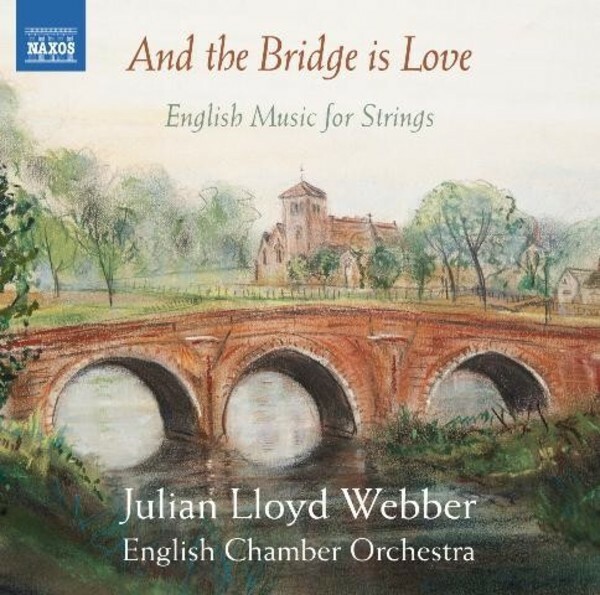 This wide-ranging programme of English music for strings includes the world première recording of Howard Goodall’s moving And the Bridge is Love, in which Julian Lloyd Webber plays cello, and of William Lloyd Webber’s The Moon, only performed for the first time in 2014. There are also established classics such as Elgar’s Introduction and Allegro, Op.47, as well as novelties in the case of the never-before-recorded arrangements by Elgar’s friend and biographer W H Reed of the two Chansons. Julian Lloyd Webber is one of today’s leading musicians. His many recordings include his Brit Award-winning Elgar Concerto conducted by Yehudi Menuhin (chosen as the finest ever version by BBC Music Magazine), and a coupling of Britten’s Cello Symphony and Walton’s Concerto with Sir Neville Marriner and the Academy of St Martin-in-the-Fields, which was described by Gramophone magazine as “beyond any rival”. This recording is Julian Lloyd Webber’s first as a conductor. His performance of Howard Goodall’s And the Bridge is Love is his final recording as a cellist.